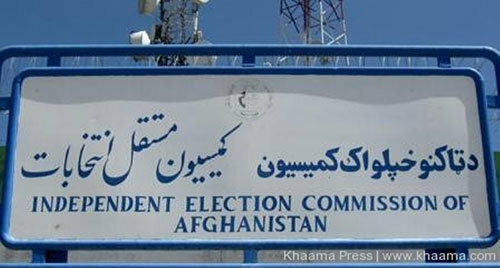 As results of parliamentary elections have not been announced so far, officials for Independent Election Commission (IEC) say presidential election timeline has been prepared and will be shared with electoral partners, political parties and electoral watchdog organizations. According to IEC officials, works are underway to outline a timeline for the upcoming presidential election and that it will be announced within next week. The upcoming presidential election is scheduled to take place on April 20, next year. IEC said that it would finalize a timeline for the upcoming polls within the coming week. “Next week, we will share the timeline of the presidential elections with people, the international community, electoral complaints commission, and election observes,” said Hafizullah Hashimi, a commissioner of the IEC. Meanwhile, electoral watchdog organizations and political parties believe that the government should take further steps for holding presidential elections as the people of Afghanistan do not want their destiny to be played. He stressed on digitalizing the election process, or the people would not trust on such processes anymore. Sadiq Mudabir, former general director of administrative affairs, says the people of Afghanistan want electoral commissions to hold a fair and transparent presidential elections. He asked the electoral commissions not to lose the opportunity and share its preparations and electoral programs with the people. On the other hand, electoral watchdog organization says Afghanistan electoral commissions have enough time to implement electoral reforms, but unfortunately they’re losing time. “It is good that presidential election timetable is going to be announced, but it I’s much better that path of the election process should be specified as we need a big plan and serious strategy to hold the presidential elections,” said Yousuf Rashid, chief executive of Free and Fair Election Foundation of Afghanistan (FEFA). He added that decision-making in connection with providing list of voters and use of biometric system are more important than declaration the presidential election timetable. Meanwhile, a number political experts have asked the government to make serious efforts towards holding fair and free presidential elections. “It is needed that Afghanistan electoral system should be amended before the upcoming presidential elections,” said Akram Andishmand, an Afghan political expert, adding that Independent Election Commission (IEC) should announce results of parliamentary elections as soon as possible so that the people can trust on electoral commissions. He further said that Afghans have proved to the world that they were supporting the country’s democratic processes as they turned out and cast votes for their favorite parliamentary candidate despite of all challenges and problems. It is worth mentioning that the long-awaited parliamentary elections which were held on October 20 were marred by series of technical and organizational failures.